YOU WILL LOVE LIVING IN THIS STUNNING REMODEL in the heart of 19NORTH Central Corridor close to shopping, freeway, and light rail! 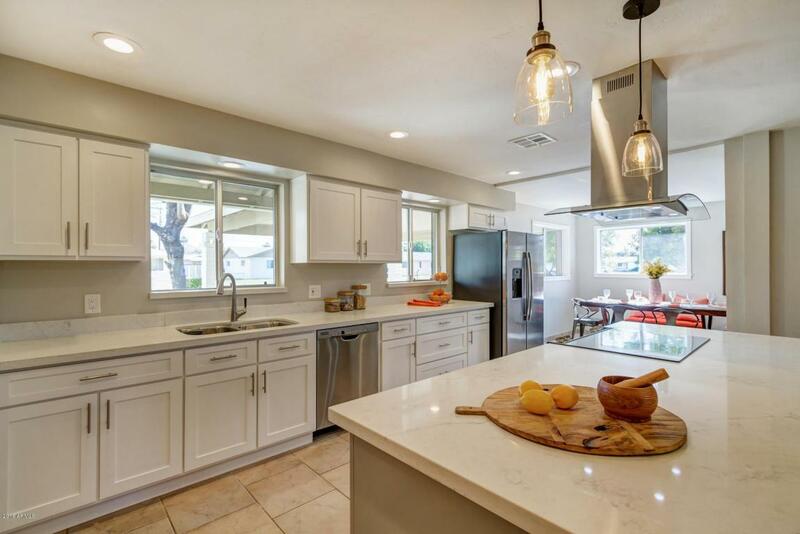 Imagine yourself in your new Chef's kitchen with stunning marble white quartz countertops, resting on shaker style white and grey cabinets with slow close doors and drawers. Brand-new GE appliances perfect for cooking a wonderful dinner under a signature stainless steel hood vent. 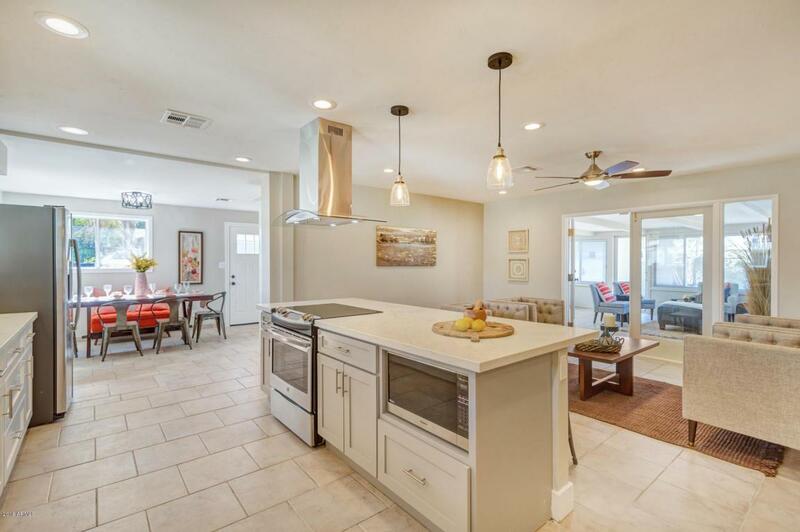 Enjoy family and friends in the open kitchen-living area that flows into to a bright and open Arizona room featuring a unique steel table supported by a real tree trunk with a river rock tile base bring the outside in. Enjoy incredible views from the Arizona Room out onto of the shady grass backyard. Or enjoy dining area off the kitchen that is perfect for group gatherings.The oversized laundry doubles as storage room with plenty of room for extra items. All three bedrooms have incredible walk in closets, with the master bedroom closet showcasing built-in shelves and lots of hanging space. The stunning marble white quartz countertops have been carried into both double vanity bathrooms. 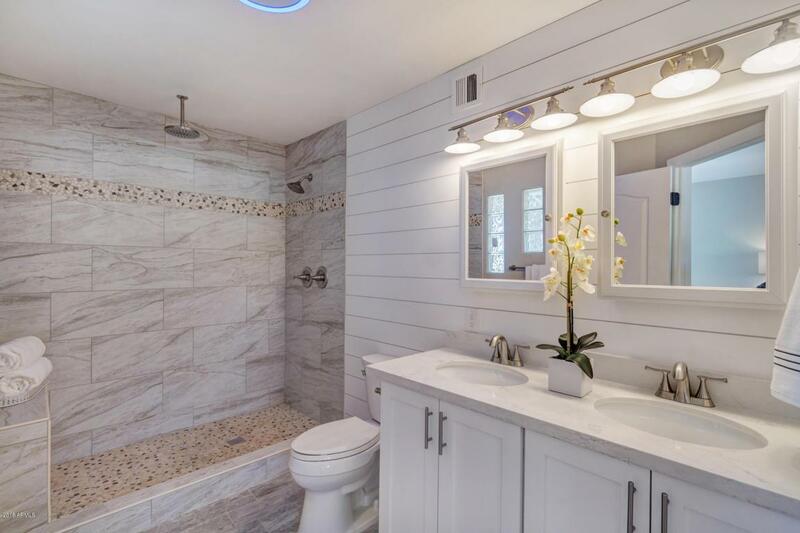 Each bathroom boasts an all in one remote controlled wireless bluetooth speaker, exhaust fan, night light, and plenty of medicine cabinet storage. The master bathroom shower offers an overhead rain forest and a side shower for the ultimate shower experience. You can retreat to the master bedroom with its cozy sitting area and coffee wine bar that is perfect for an early morning read or nightcap. The oversized single car garage is lined with built in shelves, workshop and an additional storage shed on the backside with direct access to the alley. The double carport on the front side of the house offers quick shaded access to the home. 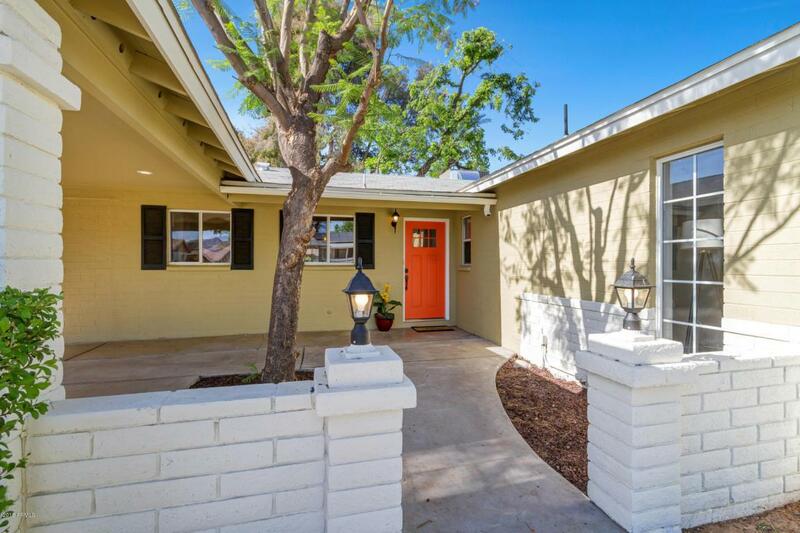 The home sits on a quiet dead-end cul-de-sac like street with easy access to the I-17 and a couple of blocks from a light rail stop for Downton, Restaurants, Central Corridor, Diamond Backs, Suns, Concerts, and ASU events just to mention a few. This is a MUST see! Get it before its GONE! !